Stories of old world charm, socialist regimes, diehard revolutionaries, salsa dancing, and coffee are only some that add to the lure of Cuba. For over five decades, the trade embargo made it extraordinarily difficult for Americans to put ‘travel to Cuba’ on their bucket lists. Now, things are different. The recent entry relaxation and beginnings of the diplomatic conversation between Cuba and the US have opened the floodgates and made Cuba more of a reality than a dream. Although it’s still not extremely easy to get there, more and more travelers are doing their best to see the real Havana. Imbedded in the land of juxtaposition is socialism on a shoestring, a stodgy bureaucracy, bohemian bars, unique and captivating characters and enchanting cities with twists and turns along each of their narrow streets. Every street has a story to tell. Whether it’s one of grandeur or hardship, colonialism or revolutionary change – history hits the heels of every traveler as they take their first steps amidst the magic that is Havana. Located only 90 miles off the coast of Key West, Florida – the largest island nation of Cuba has reawakened as a travel destination for Americans. Today, home to approximately 2.5 million residents, Havana is a city of which to take notice. Divided into diverse municipalities, each with its own charm and unique neighborhood flair, many still head to Havana to see the dichotomy of old world tradition smacked face to face with new age art deco. Cuban history is filled with intrigue. The haves vs. the have-nots, government vs. the citizens, those seeking independence vs. those who want to keep life the way it is, and so many in between are all showcased in this southern island nation. Here the past is always intertwined with the present. New life and adventure flow through the streets where domino players set up shop next to their hanging washing lines. Like many island nations, the success of the city has always stood on the shoulders of its harbor – the largest natural port in the Caribbean. The original settlement of San Cristobal de la Habana was founded on St. Christopher’s Day in July of 1515 and slightly more than four years later was relocated to the city of the bay of Bahia de la Habana. Not surprisingly, the ports and bridges provided access as the early settlements sprung to life on the strength of the waterfront. The channel opening Cuba through to the Bahamas put Havana on the map! As the waterway access continued, it acted as a link between Spain and the New World and helped to establish trade routes from here to beyond. Throughout the era when the Spanish conquistadors rummaged through the early Americas, Havana was the meeting place for the Spanish fleet before their voyage back across the Atlantic Ocean. Catering to the influx of seamen, sailors and the lot, the city rose to life with brothels, inns and gambling houses opening up along the ports and giving way to the possibility of attacks by pirates and their mates. In the 1500s, Havana became the only Cuban port authorized for commerce, thereby giving Spain the opportunity for fort construction for years. After continuing to build up their forts for the next century, another full century later saw a protective wall spring up around the entire city. By the late 1700s, Havana was taken over by the British. With the boom of wealthy Spanish sugar, Havana’s new age of affluence, prosperity and financial wealth was born. Havana’s growth period came during the 19th century with beautiful buildings springing up everywhere with new age elegance coming anew. With the boom of buildings came the arrival of crime, corruption and the fleeing of city-dwellers to begin the suburban culture of Cuba. The 20th century brought tourism and towers, hotels and hot places and the tourist industry exploded. ‘Gangsters’ came to town seeking to make Havana the Las Vegas of the Caribbean. The Revolution of the 1960s rid the roads of crime and prostitution but began the onslaught of the socialist regime. Many of the wealthy fled north to the United States and left the management and life among the normal neighborhoods in ruins. Countryside life improved while city life began to crumble. Overcrowding was prominent and Fidel Castro’s leadership took hold. Since the 1990s, life has been slowly but steadily improving – but socialism/communism still hold a tight reign. Neighborhoods and districts divide the city of Havana. Each with its own distinct character and flair, some invite tourists while others are home to mostly locals. There’s Habana Vieja of the harbourside, the old city of Havana and the capital’s tourist center. There’s the gritty Centro Habana, the oceanfront promenade of the Malecón, and Vedado at the heart of the city’s entertainment. Plaza de la Revolucion houses monuments to two of the country’s greatest icons of the struggle for independence (Che Guevara and Jose Marti), while modeled after Miami. Miramar is a hot spot for sophisticated restaurants and music venues all around. Today, the whole of Havana lives again. Prosperity is evident every which way you look. Restaurants are full, housing is better, and citizens ride right along next to the classics of yesteryear; there are even new cars on the roads. Addressing the inequalities, improvements in the infrastructure of travel and financial investments in the social development of the country and its people have led to a revitalized strength in the Cuban people. New advisories are constantly issued and travel rules are changing often. Regardless of the instantaneous nature of the digital transfer of information, Cuba is still open for business. Some travel tips are important of which to take note. Be sure to have all of your travel documents printed prior to leaving the US. Purchase travel insurance, take out extra cash or even get some in British pounds or Euros as they’re more easily exchanged (you may have difficulty with your ATM cards or US based credit cards). Check your visa category – only very few are welcomed with easy access. With approximately $50, Americans can get visas from the Cuban embassy in Washington DC (be sure to apply with the appropriate time necessary prior to your journey). Once your valid ‘tourist card’ is in hand, you’re free to roam the country. Check your chosen airline’s ‘Cuba travel’ page to see exactly where your favorite carrier can take you, how you can get there and when is the best time to travel. Upon arrival, your tourist card will be stamped so your passport does not give you any issue upon return to the US. If travel to Cuba is your destination, take note of the weather and climate. November to March is the coolest, driest and busiest. May and June are wet, July through November is hurricane season while August through October can see the peak of hurricanes as they enter their most forceful period. Havana is flooded with attractions, character and the good kind of chaos. Winding streets, whimsical music, decadent coffee, gorgeous seaside and old world meeting the new is ever present every which way you turn. 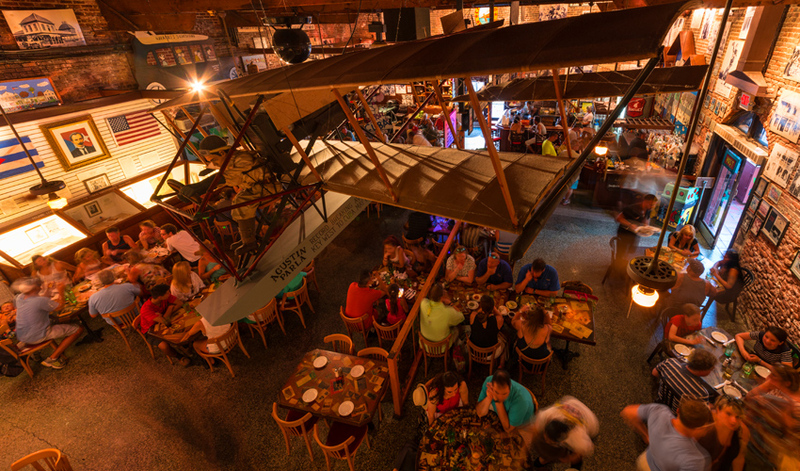 Plan your visit, leave room for spontaneity, put on your favorite dancing shoes and don’t forget to eat – you’re ready for your Cuban adventure. Walk on El Malecón: Fill your lungs with salty, sea air and the day will miraculously take flight. Wander the waterfront filled with poets and fishermen, lovers and daydreamers and take in the delights of Havana in its spectacle of sunlight and sunset. Old Havana: Tradition, grandeur and old world charm fill the streets of Old Havana. Your senses come alive with the noise of the city, the scents of the spices and the sounds of life lived. Grab a coffee, sip a mojito, watch for salsa dancers, take in the classic cars and watch as the city ebbs and flows around you. Salsa Dancing: Salsa dancing was born in Cuba. Filled with high energy, rhythm, flair and fun, you’ll grab your shoes, take a partner and kick your way to a fabulous evening. National Capitol: Built after the post-war sugar boom, this incredible feat of architecture is due to open again as the seat of Cuba’s National Assembly. Once home to the Cuban Congress, CubanAcademy of Science and the National Library of Science and Technology, this large-scale building is visited by locals and tourists daily. Cristobal Colon Cemetery: This cemetery has been a central focus in Havana for well over a century. Housing an impromptu outdoor art museum of ‘funeral art,’ there are approximately 175 pieces of art that honor the dead and showcase the artwork simultaneously. Cuban food is one for the ages. No stranger to spice and flavor, Cuban journeys involve more than sightseeing. Here there are state-run restaurants and privately owned paladars particulars amidst street food snacks and tourist fare. Pack your appetite, be sure to try the food and drink of the island and leave your mind and tummy open to new experiences. Ropa Vieja: Falling apart is the only similarity that this dish has to its traditional meaning of ‘old clothes’. The shredded beef dish takes great care to simmer in a tomato-based sauce surrounded by green peppers, and sometimes onions. Tostones: Deep fried and oozing with yumminess, these twice-fried plantains are smashed into little cakes, fried and arrive in front of you daring you to gobble them whole. Moros y Cristianos: In Mexico you find rice and beans, and in Costa Rica, it’s gallo pinto but in Cuba, these stewed black beans and white rice maintain their flavor and stardom while accompanying most dishes. Mariquitas or Malanga Chips: The plantain and potato-like taro chips are an easy find and fantastic snack to grab anytime during your day or stay in Cuba. Milk flan: Cracking, caramelized goodness makes up this delicious dessert. Although crafted with the simple ingredients of milk, sugar and eggs, you’ll find no better way to end your meal. We don’t take reservations per say, but we do offer priority seating (call ahead wait) list for the evening you wish to dine with us. Just call the day you want to dine with us (Host stand opens daily at 11am) and ask to be placed on the priority seating list for that evening. When your whole party arrives check in at the host stand. If there is a wait upon your arrival, your name will already be at the top of the wait list. Your party will be seated in the first available dining room that will fit your party. Sign up for a special offer! 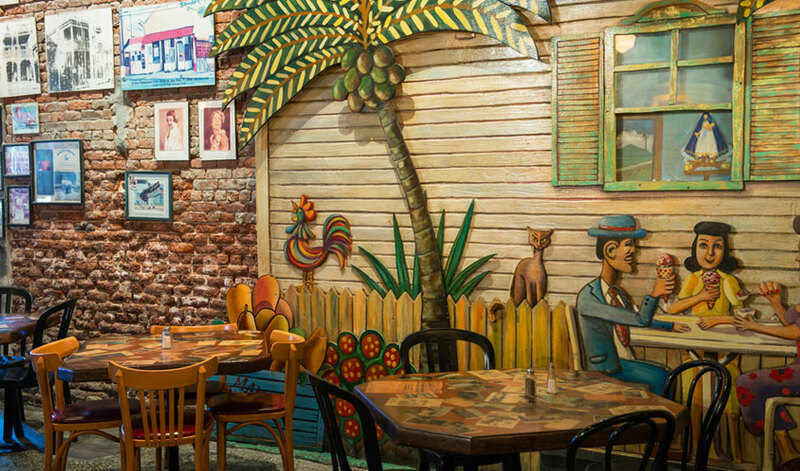 El Meson de Pepe's is a family owned and operated Cuban Restaurant in Key West. 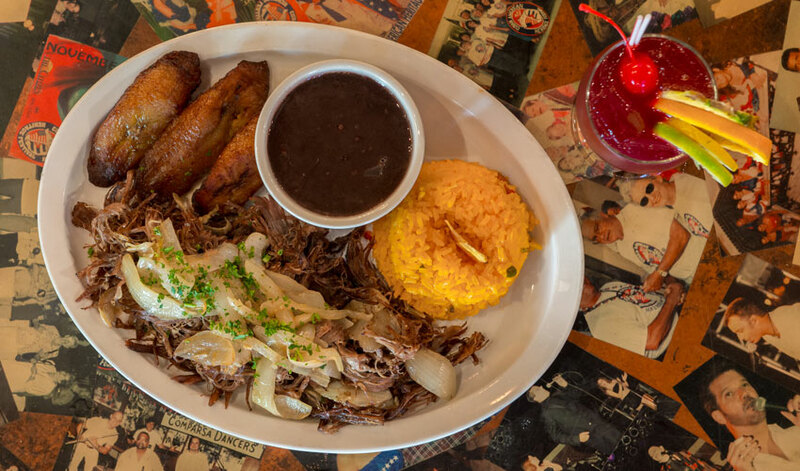 Chef Pepe Diaz and family first opened in 1985, bringing locals and tourists alike delicious Cuban favorites for over 30 years. El Meson de Pepe is dedicated to great quality food and the preservation of Cuban-Conch Heritage in Key West.